The hippo’s pink head lunges forward, his jaws snap shut. He puts on a brave face and looks at his hippo, who apparently wasn’t hungry. “One, two. I have two…” he counts the marbles slowly. “I have eight!…oh, um, but you were close” I add as I watch his face drop. I’m a person who’ll beat a three year old at Hungry Hungry Hippos. By default, it doesn’t matter what I’m doing or who it hurts, I want to win. I’ve gotten physically violent over a game of Monopoly. We play another round and I try to let him win, but the marbles avoid his hippo and soon he’s hand feeding it. He’s cheating and he’s desperate, stuck with a hippo on a diet. I tell him that winning isn’t everything, but I really want to tell him not to be like his mother. His mother is the Hungriest of Hippos, and she’s eaten a lot of people to make herself feel better. I hate to lose, it scares me. Winning and Perfectionism hold hands in my world and sometimes they try to stab me in the head, but I keep them around because I’m afraid no one will love me if I don’t sparkle. What you fear controls you, and even plastic hippopotami can take your freedom. Slowly, I’m learning it’s alright to be a loser. I recently discovered a big, powerful God who loves people who are hungry and weak, a God who loves the frightened ones…and I want my son to believe in Him too. I want my son to be free. I really don't like to play adult games. I am not competitive and I think I am lazy because I don't want to have to think in a game.I happen to love Pretty Pretty Princess though and Candy Land. I know this God you speak of and HE is everything you say! Nice post! oh can I relate!! …and I have been held captive by fear. So thankful for a God who quiets me with His love, who calls the last to be first, and loves the least of these. So hard for me to wrap my head around at times, but so, so thankful. What I fear controls me 😦 . And just when I think it doesn't, it rushes at me out of seemingly nowhere and knocks me off my feet. I want my sons to be free, as well. SO WITH YOU! I like this post (and you!) a whole lot! i tend to get freakin' nervous when i think i don't have things under control any more…and i need god to show me every single day that i don't have things under control anyway… so great how good he knows us and with what great love he approaches us…thankful..
JDaniel's growing need for independence is teaching me a lot about letting go. A wonderful post to read and you are sooooo right! this is great! love to see your heart. I love when little kids feed their hippos by hand. It makes me smile. Why is it that “We are weak but He is strong” is one of the first things we learn to sing in Sunday School, but it's such a hard concept to live? I battle the competitive thing too…I hate it about myself, but it is a challenge constantly. 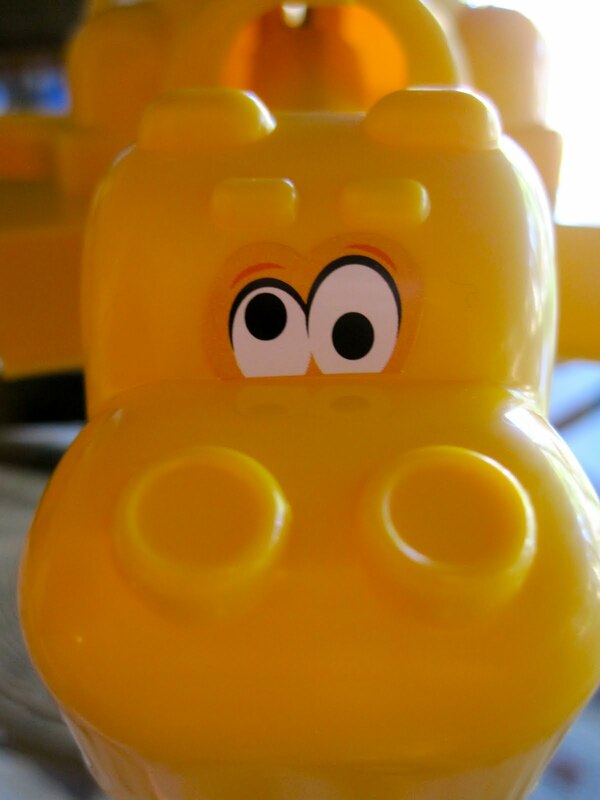 I wouldn't have thought that a post primarily about Hungry Hungry Hippos would teach me a lesson! Because while you fear people will not love you if you don't sparkle, I've always feared people won't love me if I do. I hide my light and force others to shine. I pretend to be in shadow and downplay and self-deprecate. I wonder why we become the way we are? Why being who we really are and free is so terrifying? And I love that you always make me think. From one Type A personality to another, I give you a lot of credit for even trying to let the little guy win. In our household, the motto is: If you ain't first, you're last….yeah, my kids are going to need therapy. I better get a good job. oh, me too! me, too. You guys need to play Hi Ho Cherry-o. It's a real “win some, lose some” type of game — even in the middle of playing it! No skill required either. My dad was very competitive with me when I was a kid and we typically played strategy games like Connect 4. I realized 1. I was never going to beat him and 2. when I did it was great. Oh and “Hungry Hippos” is noisy. We play a lot of Hungry Hippo around here, and I am wicked competitive, too. It's not my best quality. I don't know how I missed this post earlier in the week. I'm glad I found it today, though, because I love it. You're so honest, JoAnn. I love that about you. I confess I've made my children cry over Scrabble [hangs head in shame].